The board of ScotlandIS, the membership and cluster management organisation for Scotland’s digital technologies industry, has announced that its CEO, Polly Purvis, is retiring this year. Polly also played an integral part in the formation of Digital Xtra Fund and has sat on the Charity’s Board since its inception in 2017. Polly has been with ScotlandIS since its inception in 2000, and prior to that with the Scottish Software Federation from 1998. She has been CEO for six years and during that time has led the organisation to some great industry-wide successes. Polly will remain in post until a new CEO is appointed to ensure an orderly transition and will officially hand over to the new CEO at ScotSoft 2019. The Board has also announced Karen Meechan has been promoted to chief operating officer, providing additional continuity to the membership and focussing on the continued growth of the organisation. Frances Sneddon, chair of ScotlandIS and CTO of SIMUL8 Corporation will work with Karen, Polly and the new CEO to build on the legacy that Polly has left. Between them, Karen and Frances have more than 40 years experience in the technology sector and more than 25 years helping to run ScotlandIS in an operational and board capacity. Polly leaves both ScotlandIS, and the Scottish digital technology industry, in excellent shape. Most recently, she helped secure support for ScotlandIS from Scottish Enterprise to develop industry clusters in data and cyber security, evolving ScotlandIS into a combined cluster management organisation and membership body. Polly lobbied for the creation of the Skills Investment Plan (published in 2014); a strategy developed to create a strong and continuing supply of skills for the tech sector, underlining its crucial importance to the Scottish economy. Through a partnership between industry, SDS, SFC and other skills organisations the investment plan is creating a strong skills infrastructure to support future growth. Initiatives including CodeClan, Digital Xtra Fund, Digital Skills Partnership and the Digital Schools Programme have come out of the Skills Investment Plan and further work is underway addressing subjects as varied as gender balance in the industry and recruiting more computing teachers. 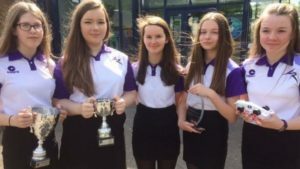 The formation of CodeClan, Scotland’s first and only SQA accredited digital skills academy, was spearheaded by Polly; she recognised an opportunity for career changers and returners to develop technology skills to help fill the increasing number of job vacancies in the sector and established CodeClan to meet this need. CodeClan is now producing over 400 technically skilled graduates a year in Edinburgh, Glasgow and its new Highlands campus in Inverness. 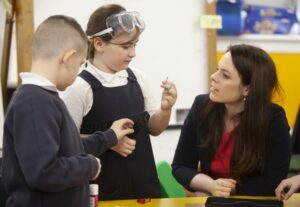 She also championed the formation of the Digital Xtra Fund, a charity dedicated to ensuring all young people across Scotland can benefit from hands on experience of computer science, coding and digital making regardless of geography or economic background. She has also continued to support the charity which has just awarded £100,000 in grants awards to 22 initiatives across Scotland. Polly was one of the small bid team made up of industry people and academics which developed the proposal for the establishment of The Data Lab, and was also one of the founding team that established the dotScot Registry, Scotland’s top level internet domain. Polly has represented ScotlandIS on the Scottish Government’s Digital Public Service Advisory Board, the ICT & Digital Technologies Skills Group, the Converge Challenge Advisory Board, the ONE Digital & Entrepreneurship board, the Scotland CAN Do Innovation board, and the Industrial Advisory Board of the University of Dundee’s School of Computing. Polly also chairs the board of CodeClan, and is a Trustee of the Digital Xtra Fund. 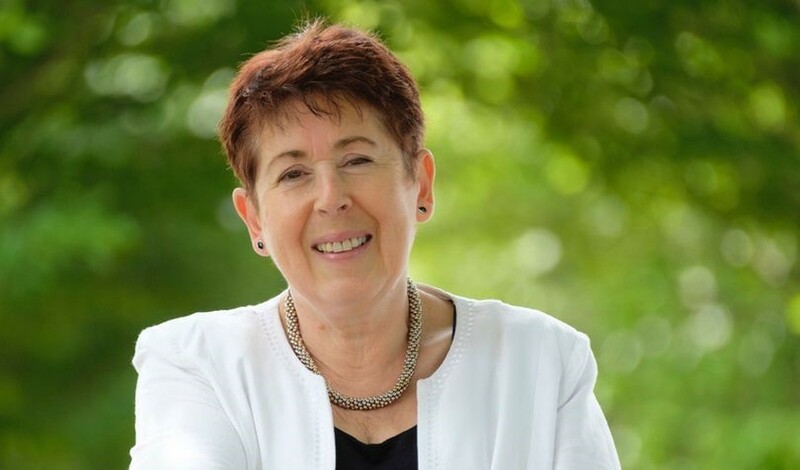 Personally, Polly has been recognised for her impact on the Scottish tech sector, receiving a lifetime achievement award from Cabinet Secretary, Roseanna Cunningham MSP in 2015, an OBE in the Queen’s birthday honours list in 2017 for services to the Scottish digital technologies industry, and the lifetime achievement award at the Scottish Women in Technology Awards 2018. “I believe ScotlandIS is very well placed for its new phase of growth – we have a great staff team who share with the board an ambition to grow the business. We’re in the process of strengthening and complementing the existing team with new hires in the areas of data and cyber. We have a fabulous membership full of interesting, innovative and growing technology businesses who build and deliver high quality goods and services. So it’s a good time to hand on to someone who can bring fresh passion and a belief that technology can be a real force for good, and who can help develop the potential of the digital technologies industry as a major force in the new economy being built in Scotland. 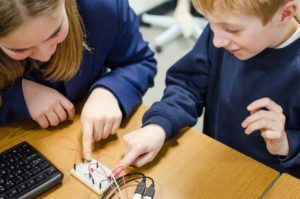 Grants totalling £100,000 have been awarded by Digital Xtra Fund to 22 extracurricular computing initiatives across Scotland in a bid to create the next generation of digital experts. 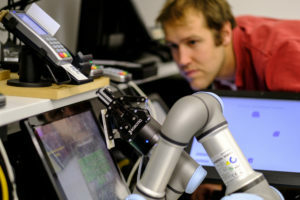 The 22 extracurricular computing initiatives have been awarded grants of up to £5,000 each as part of the Fund’s fourth round of grant awards. 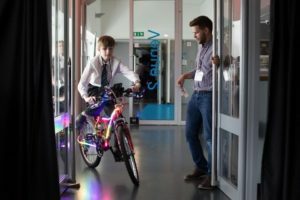 The grants are designed to support some of Scotland’s hardest-to-reach young people and improve digital skills in areas such as coding, data science and computer-based problem-solving. The main focus of the grant awards is to engage and inspire those traditionally underrepresented in the technology industry, such as girls and young women, young people in rural areas, and those from economically disadvantaged backgrounds. 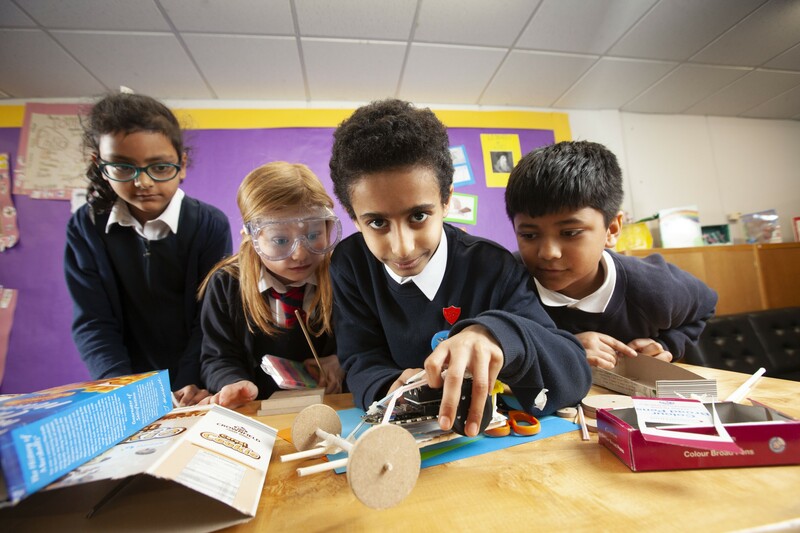 Grant award recipients for 2019 include Wear-a:bits, which introduces the basics of coding through wearable technology to young people from areas of Glasgow facing multiple deprivation; STEAM Ahead, an initiative to teach coding and digital creativity at libraries in the Outer Hebrides; and Resilient Robotics, an Islay-based initiative designed to develop young people’s perseverance when building robots – a process that can sometimes require a lot of trial and error. Resources for Resilient Robotics will also be made available in Gaelic. Created in 2016, the goal of Digital Xtra Fund is for young people across Scotland to have access to digitally creative activities to increase the number of young people entering highly skilled digital careers, bridging the current skills gap in Scotland. Kraig Brown, Partnerships and Development Manager for Digital Xtra Fund, said: “Today’s young people are the biggest consumers of technology, but we want to teach them how to create it, improve it, and encourage them to become Scotland’s next generation of tech leaders. “There isn’t always an option for young people to learn advanced digital skills at school, and this is why our funding is so important, as it opens up additional opportunities for young people across a wide range of backgrounds. Grant recipients were officially announced today at an event held at Anderston Primary School in Glasgow. 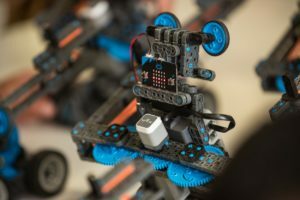 The School’s Tech Heroes after-school club, supported by Digital Xtra Fund, will give pupils the opportunity to use Spheros, micro:bits, Osmo kits and Snap Circuits, as well as practice on-screen coding while they learn about the role of technology across various subjects. 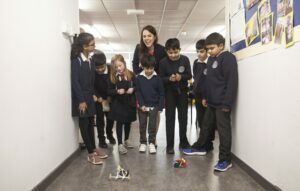 The event was attended by Kate Forbes, MSP and Minster for Public Finance and Digital Economy, as well as representatives from Digital Xtra Fund, Skyscanner, J.P. Morgan, and the Micro:bit Educational Foundation. Digital Xtra Fund brings together businesses, organisations, and individuals with a common will to help young people succeed in a digital world through an annual grant awards programme. 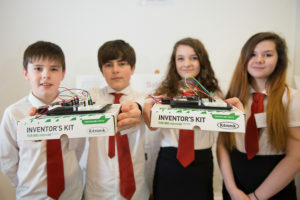 Key Partners include J.P. Morgan, Skills Development Scotland, Skyscanner, and the Scottish Government, as well as Accenture, Baillie Gifford, BT Scotland, CityFibre, Fujitsu, Incremental Group, Micro:bit Educational Foundation, Microsoft, ScotlandIS, Sky UK, and Zonal. Digital Xtra Fund is seeking an enthusiastic and committed Trustee who will help guide the charity, shape our strategic direction, and support our fundraising work. We are particularly interested in individuals with an interest in helping young people, an understanding of the digital technologies sector, and, if possible, communications and marketing experience. 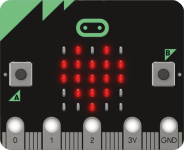 Digital Xtra Fund is Scotland’s first and only charity dedicated to supporting a range of extracurricular digital skills initiatives for young people aged 16 and under. We believe every young person in Scotland should have access to innovative and digitally creative activities regardless of their gender, background, or where they live and understand the range of opportunities these skills provide. As the world increasingly becomes reliant on digital technologies, introduction to skills such as coding, computational thinking, digital making, and data analysis from an early age is key to helping young people prepare for their future. To date, the Fund has distributed £450,000 to organisations delivering extracurricular digital skills initiatives with a further £75,000 available for 2019. This funding has enabled 33 projects thus far, achieving an active engagement of nearly 20,000 young people across all local authorities in Scotland. Now entering its third year, Digital Xtra Fund is continuing to build links with a diverse range of industry partners to increase the support given to extracurricular digital skills initiatives across Scotland. The Fund also brings together these Partners with supported initiatives to provide context to the skills being taught and promote a range of pathways and exciting careers in the tech sector. You will join six other Trustees on our Board including representatives from the public, private, and third sectors with an interest in young people and digital technologies. Sounds interesting? Please download the Trustee Information Pack and submit your CV and Covering Letter to info@digitalxtrafund.scot by noon on 3rd December. We would also be happy to arrange a quick chat with an existing trustee if required. Please note that this is a voluntary position. The company – which has created Gigabit Cities in Aberdeen, Edinburgh, Glasgow and Stirling – is partnering with Digital Xtra Fund as part of a commitment to help young people across the country. The partnership will see CityFibre lend financial support, in turn allowing the Fund to boost exciting extracurricular digital technology activities across Scotland such as Stirling High School’s Digital Learning Hub in partnership with CodeBase Stirling, The Prince’s Trust’s #PTDigiDay in Glasgow as part of their Achieve Programme, or Angus Young Engineers’ CAD/CAM Café in Angus. 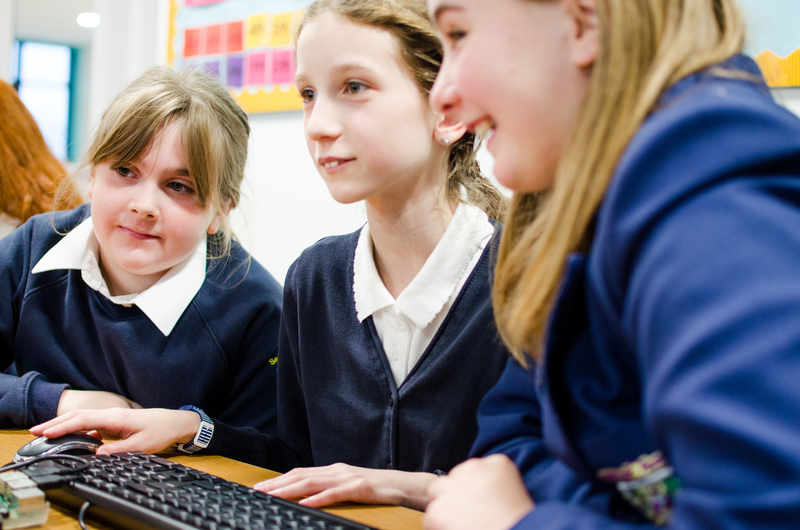 CityFibre has already shown its commitment to supporting a growth in digital skills across Scotland, having connected a number of schools to its full fibre networks. That infrastructure is laying the foundation for young people to use cutting-edge digital tools and unlock e-learning initiatives such as coding and app-building – skills which will only grow in value in the years to come. James McClafferty, Head of Regional Development for CityFibre, said: “Digital Xtra Fund is playing a key role in helping young people learn the skills they will need to succeed in a digital future. It is crucial that they are supported by industry, which is why CityFibre is delighted to come on board as a key partner. In addition to schools, CityFibre’s ultrafast networks are also accelerating the digital capabilities of businesses, local councils, libraries and community centres and the company is determined to help ensure Scotland becomes one of the world’s best connected places. That vision is fast becoming a reality as CityFibre embarks on its partnership with Vodafone which will see cities transformed through the ‘Fibre to the Premises’ programme. This will bring Gigabit-capable full fibre to one million homes and businesses across the UK by 2021 – with Aberdeen, Edinburgh and Stirling among the first cities announced. Recent research by economic consultancy Regeneris examined how the economy would benefit from full fibre connectivity, quantifying the impact to cities over 15 years. 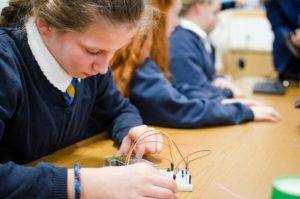 Across that time period – when many of today’s school pupils will be entering the employment market – there is a clear benefit to full fibre in areas including productivity, innovation, worker flexibility and health. For example, in the four cities in Scotland where CityFibre is operational – Aberdeen, Edinburgh, Glasgow and Stirling – there is a predicted £458m impact in terms of productivity and innovation. Kraig Brown, Partnerships & Development Manager, Digital Xtra Fund, said: “It is a very exciting time to partner with CityFibre as they begin to transform the digital landscape of the UK and bring gigabit speed connectivity to entire communities. 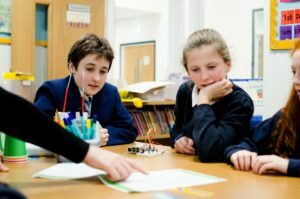 The high-quality initiatives supported by Digital Xtra Fund will spark that first interest in digital technologies and equip young people with the skills and experiences they need to succeed in a digital age, but it is organisations like CityFibre who will help fuel long-term possibilities for the next generation. CityFibre is the UK’s leading alternative provider of wholesale full fibre network infrastructure. With dense duct and fibre footprints in over 40 cities throughout the UK, it provides a portfolio of active and dark fibre services to its customers which include service integrators, enterprise and consumer service providers, local authorities and mobile operators. CityFibre has also recently partnered with Vodafone to bring ultrafast Gigabit-capable full fibre broadband to up to one million UK homes and businesses by 2021. CityFibre is based in London, United Kingdom, and is privately owned by a consortium of Antin Infrastructure Partners and West Street Infrastructure Partners, a fund managed by Goldman Sachs. Leading Scottish technology firm, Zonal, has teamed up with Digital Xtra Fund to help fund technology initiatives for young people across Scotland. Edinburgh based Zonal was recently voted Family Business of the Year 2018 and for almost 40 years has been designing and delivering technology solutions for the hospitality sector, including its market leading EPoS system, Aztec. Today, it employs around 550 people with over 200 located at its Tanfield headquarters. Zonal began in 1979 when the McLean Family identified the need to monitor sales, stock, and wastage in their family hotel near Edinburgh when they noticed shortfalls in stock and takings. Zonal founder, the late Ralph McLean, invented a solution to manage and control operations and the first EPoS system was created. After being adopted by a number of regional breweries and pub groups, the family hotel was sold to grow the business from their offices on Forth Street in Edinburgh. The Forth Street site remained the company’s head office until 2014 when it moved to state of the art premises at Tanfield. Zonal has developed and evolved from a small Scottish business to a company that employs over 450 people whilst still maintaining its proud Scottish heritage. Today, Zonal solutions are used daily in over 15,000 leisure and hospitality businesses across the UK, ranging from restaurant and pub groups, night clubs to, garden centres. The company’s full product suite of technology solutions enable Zonal to offer a fully integrated service to any hospitality business. Known for investing in digital tech companies from Silicon Valley and Shenzhen, Baillie Gifford is partnering with Digital Xtra Fund to invest in digital tech skills here in Scotland. Digital Xtra Fund is delighted to announce a partnership with global Investment Managers, Baillie Gifford. Digital Xtra Fund is a Scottish Charitable Incorporated Organisation (SCIO) which supports extracurricular digital technology activities across Scotland, giving young people opportunity to learn advanced digital skills regardless of their gender, background, or where they live. 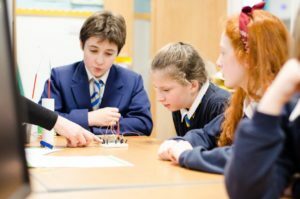 Backed by businesses, organisations, and individuals with a common will to help young people succeed in a digital world, the Fund provides grant awards for activities which inspire, engage, and enable young people to be digitally innovative and creative, and helps them understand the variety of future career opportunities these skills will make available. Digital Xtra Fund became a charity in March 2017 to enable it to work with a wide range of industry partners. 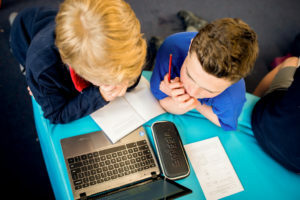 Last year, the Fund awarded grant awards for 11 exciting, high-quality initiatives across Scotland such as Stirling High School’s Digital Learning Hub in partnership with CodeBase Stirling. 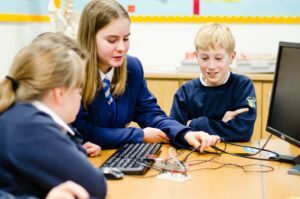 The initiative saw pupils from SHS deliver a variety of Raspberry Pi based workshops to six primary schools in the area creating a sustainable ecosystem of young developers in Stirling. Helping young people and the community is part of the culture at Baillie Gifford. For more than 100 years, it has been a feature of the Edinburgh community and has a long history of supporting initiatives which make positive differences in the areas of the arts, education, and sports. Baillie Gifford’s support for Digital Xtra Fund will extend their already considerable CSR programme and give more young people the skills needed to succeed in an increasingly digital world. Baillie Gifford recognises it is important to foster these digital skills as more and more companies look to recruit young digital talent and increase their diversity to grow and achieve success. Baillie Gifford’s successful track record of finding and investing in emerging and growing tech companies speaks to their ability to also recognise and support strong digital talent. Baillie Gifford is an investment management firm wholly owned by 44 partners, all of whom work within the firm. It was founded in Edinburgh in 1908 and still has its headquarters in the city today. As of 31 March 2018, Baillie Gifford has £177.6 billion under management and advice in specialist equity, fixed income and multi-asset portfolios for a global client base. Digital Xtra Fund is proud to announce a new partnership with Sky UK to grow and develop even more high-quality extracurricular digital technologies activities for young people in West Lothian. Last month’s Tech Nation 2018 Report painted a very positive picture for the UK technology industry, with strong signs of development coming from Scotland’s key tech hubs including Livingston in West Lothian. Livingston was highlighted as one area with above-average tech employment, which is key to inspiring more young people to consider a career in digital technology. As the main private sector employer in West Lothian, Sky UK recognises the important role it plays helping young people succeed in an increasingly digital world, especially as a major technology company itself. They have teamed up with Digital Xtra Fund to grow and develop high-quality computing science activities for young people in the region. Digital Xtra Fund is a Scottish Charitable Incorporated Organisation (SCIO) determined to give every young person in Scotland access to digitally creative activities regardless of their gender, background, or where they live. Backed by businesses, organisations, and individuals with a common will to help young people succeed in a digital world, the Fund delivers grant awards for activities which inspire, engage, and enable young people to be digitally innovative and creative, and gives them a clearer understanding of the future career opportunities digital skills provide. Digital Xtra Fund was established in 2016 and originally funded through the Digital Scotland Business Excellence Partnership. In March 2017, the Fund became an independent charity to enable it to work with a wider range of industry partners. 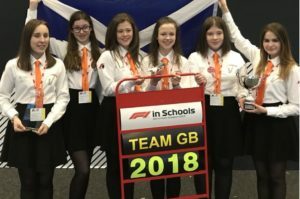 Last year, grant awards were provided for 11 exciting, high-quality initiatives across Scotland including the highly successful F1 in Schools STEM Challenge which saw two all-girl teams from West Lothian qualify for the F1 in Schools World Finals in Singapore. 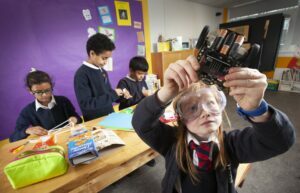 As a hugely recognisable brand found in millions of homes, Sky knows it has a responsibility to affect real change, whether through its Sky Sports Living for Sport programme or Sky Academy, which works with young people from primary school right through to starting their career to build digital skills and experience. Since opening in 2012, more than 85,000 young people have visited Sky Academy Studios in London and Livingston to learn more about what goes on behind the scenes at Sky. In November, it launched Sky Academy Studios at its Italian headquarters in Milan. Sky is constantly striving to develop a talented, capable, and dedicated workforce committed to creating success for all its stakeholders. The company recognises that investment in the next generation through programmes like Digital Xtra Fund and Sky Academy is crucial to the progression of the technology, media and entertainment industries. Sky UK is part of Europe’s leading entertainment and communications business. With over 22.5 million customers across UK, Ireland, Germany, Austria, and Italy, Sky makes life easier by entertaining and connecting people. Sky is constantly ensuring it is the home of more of the best content from around the world, with sustained market-leading innovation across multiple platforms, delivered by a trusted brand that offers exceptional customer service.